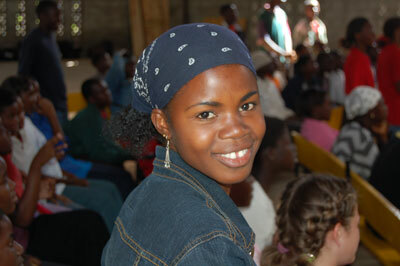 Several national pastors and missionaries had held youth camps for a number of years. Nathan Washer arrived on the field with a burden to further develop that aspect of the churches’ ministry and immediately began work with the camp. 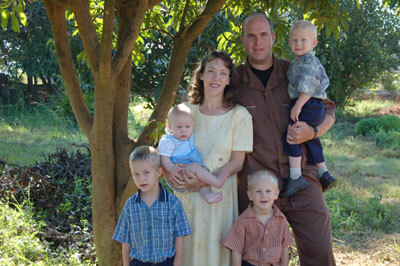 Nathan and Rachel Washer have four boys and have been ministering in Zambia with IFM since 2004. They are third and second generation missionaries respectively and some of the wonderful missionaries we have ministered with. 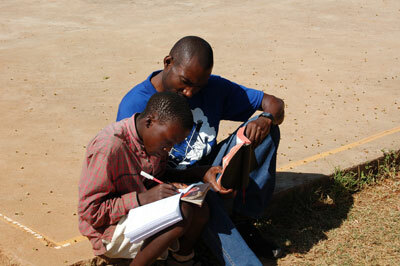 Pastor Mukuka was saved as a boy and grew up attending Faith Baptist Church. He gradually took on more and more responsibility, including the oversight of the camp, and believes the Lord wants him to be involved in camp ministry in the future. 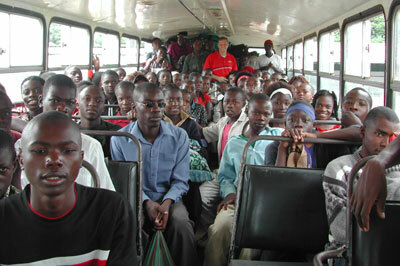 CampsAbroad conducted a survey trip in 2004 and camp trips in January 2005 and April 2006. 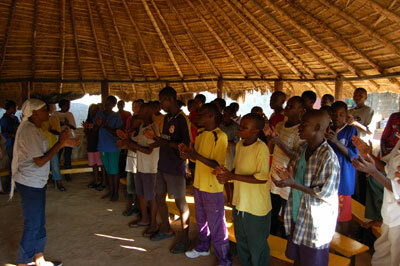 God provided the $3,000 we needed for the 80 mattresses and somehow we squeezed in 102 people who slept at the camp. We managed to find 12 other mattresses, and by putting several side by side in the clinic, the girls were able to squeeze a few more people in. 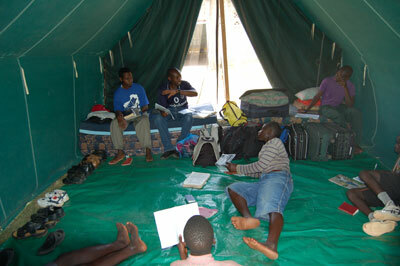 The guys slept in tents that God provided through The Wilds Christian Camp in North Carolina. With God and your prayer, camp went well. We started out with three full days of counselor training with Matt Collier, the director of CampsAbroad, and Treavor Gearheart, the program director from Northland Camp. 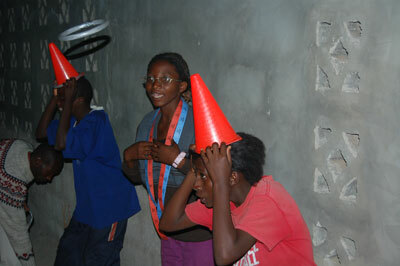 The teens came in the next week to a theme of soap wars (detergent paste) with Blue Boom versus Red Dynamo. I think our favorite cabin name was “Scrubby Bubbles.” Competition brought out some excellent opportunities to counsel deeper issues. The counselors did a great job overall and learned how to dig into the lives of their campers. 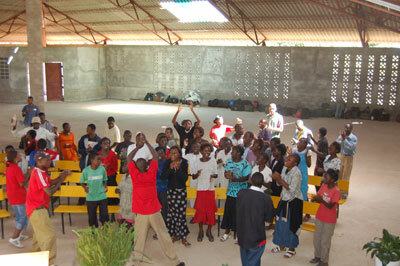 Pastor Mukuka worked with Treavor to run the entire program the week of camp. 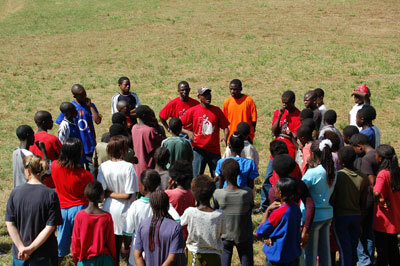 I function as the camp director and in the past I have been heavily involved in program. But this year I almost had nothing to do as the program men ran everything. 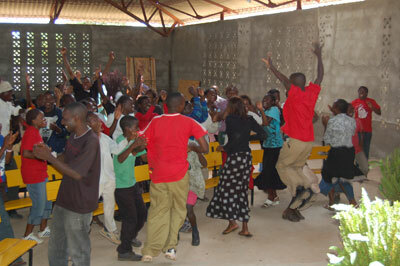 It is such a blessing to see the camp being run by the nationals. 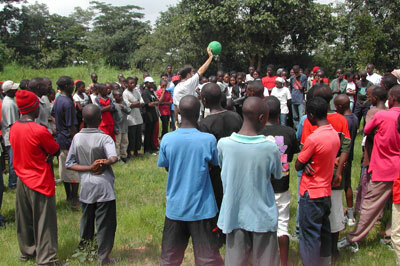 We had 84 campers and 11 counselors, along with program guys and one cook who slept at camp. There were 16 decisions for salvation and several other personal decisions dealing with anything from sin to dedication. “Dear Pastor Matt, I personally want to thank you, cause so much has changed within me for the better. I have learnt the defense against the enemy and now it’s time to live my life for Jesus. It’s time now for me to face true reality back home. I’m almost afraid to leave camp and get back home cause there is so much temptation to even bring me down. Here at camp I was around many who trusted and believed in Jesus. But still I know that I will make it by God’s grace and be the person God desires for me to be in this life. It was my first time to be at camp and it was a great joy for me. I got saved in 2001, September 11 but this years camp has make me take a huge step in my walk with Jesus. For eternity, though I may never see you again, I’ll always remember you, Bob and Willie for coming all the way to reach out to someone like me, but greatest of all, I will daily keep all that I have learned in the book of James in my heart and life.